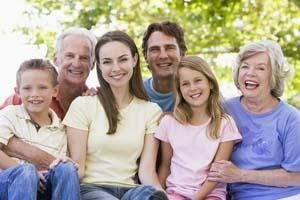 At Valley Ridge Dental, Lake Elmo dentist Dr. Katie Daniels and our entire team are committed to helping you and your family enjoy a lifetime of good oral health by keeping your teeth and gums healthy. Our approach to dentistry is always based on educating our patients on prevention. We want to do everything possible to minimize the likelihood that you will need major dental treatment down the road. During our cleanings, we make sure we have the most up-to-date information about your mouth. A panoramic or full-mouth series of x-rays are evaluated every three to five years, allowing us to check for tumors or cysts that may be hiding from view in our standard x-rays. Bitewing x-rays are evaluated every year to look for cavities between your teeth that we could not otherwise see. The hygienist and dentist evaluate your gum tissue, looking for indicators of periodontal disease, and give tips on how to effectively use different tools to reduce bleeding and inflammation. During your exam, Dr. Daniels will perform an oral cancer screening and look for decay or failing restorations in your mouth. 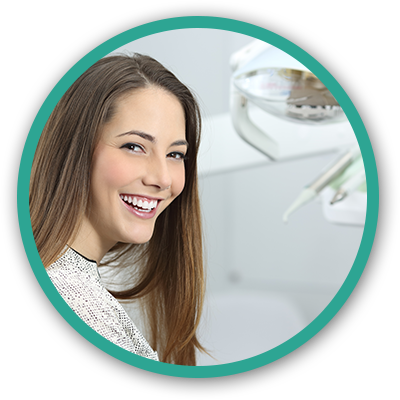 With the x-ray images and your oral examination, Dr. Daniels will inform you of her findings, discuss your options, and educate you to help you make the best decision for your restorative needs. According to the Centers for Disease Control, gum disease affects one out of two Americans over the age of 30. It can lead to significant oral health problems and is the number one cause of tooth loss in adults. Studies have established a link between the health of your gum tissue and the health of your body, so it is imperative to keep gums healthy. Periodontal disease is a chronic bacterial infection that develops in the gums. If left untreated, it can also impact the bone supporting your teeth, resulting in bone loss, and eventually, tooth loss. The bone and gums are the foundation of your mouth, giving the roots of your teeth something to anchor into. Imagine a tree with weak root structure or poor soil; this tree cannot be healthy without a good foundation. When periodontal disease becomes too advanced, the teeth begin to loosen, abscesses can occur, and you can develop halitosis (or bad breath). When we find periodontal disease, our hygienists will recommend scaling and root planing, which is a deeper cleaning. They may also recommend more frequent dental cleanings until your gums and bone have stabilized. During the deep cleaning, the hygienist will numb your gum tissues to keep you comfortable. Depending on the situation, once the cleaning is complete, they may flush the area with a medicated mouthwash or apply antibacterial medication directly to the root structure to help the gums to heal. If you have experienced trauma or decay, we can restore your smile with tooth-colored fillings. Dr. Daniels removes any existing or damaged filling material and compromised tooth structure and is able to bond a natural-looking filling material to restore the form, function, and aesthetics of the tooth. This is a huge improvement over old silver filling material used in the past, which required dentists to remove more tooth structure, making it necessary to have crowns a lot earlier in life. Take a step toward a healthy, disease-free mouth and contact the dentists at Valley Ridge Dental to make an appointment for an examination and cleaning. Call us today!